Glidix is an operating system in development since late 2014, originally to help me understand how things work. 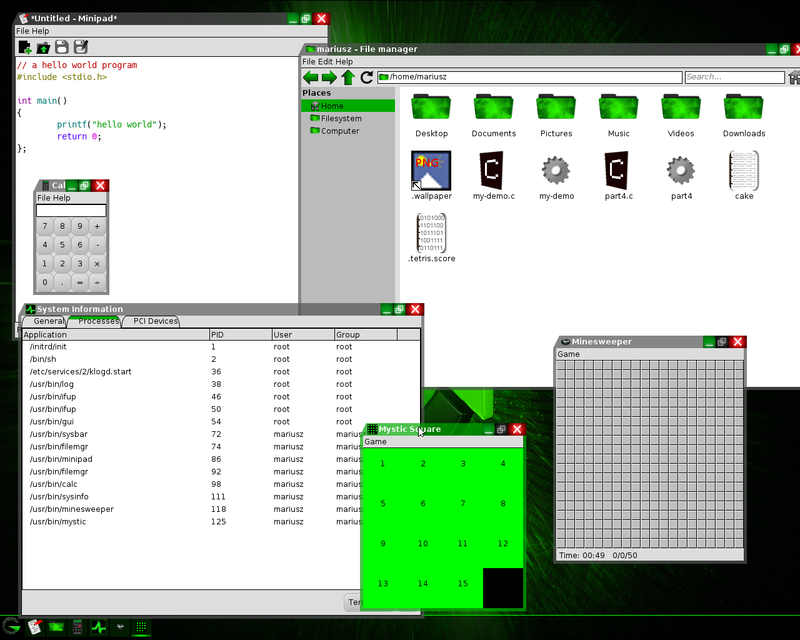 It has since then progressed, and is now a relatively functioning, graphical operating system, although it still needs a lot of work before it can be fully useable. It is currently in pre-alpha stage, there are lots of bugs, and a lot of missing features; however, it's also fun to play with. It even comes with a few games!